In 1987, Congress declared March as National Women’s History Month in order to call attention to the many contributions of women in society. Each week this March, we’re highlighting the lives of some of these great women in blog posts by some by of our notable employees who talk about women who inspired them. This week, Charlotte Sedlock, our Environmental Analyst, spotlights Isatou Ceesay for her important work in recycling and reducing plastic waste.  At Apeel Sciences, we can’t stop thinking about waste. Specifically, food waste. While food waste keeps our brains churning, we have to remember the plethora of other wastes generated globally. One type that we cannot ignore is plastic waste. Plastic has revolutionized society since it exploded into mass production after World War II. Now plastic is everywhere in everyday life. However, the convenience of plastic does not come without its consequences. As of 2015, it was estimated that 6300 metric tons of plastic waste had been created, with 79% of that accumulated as waste in the natural world or the environment (Geyer et. al. 2017). With plastic having permanent residence in the environment, land and sea animals are at-risk of plastic consumption, and natural waterways are now polluted with microplastics (American Chemical Society). With all this plastic contamination looming over us, one woman is uniquely transforming this waste into profit. A native of The Gambia in West Africa, Isatou Ceesay saw the unappealing buildup of plastic bags in her community of N’Jau. The plastic bags were harming the community’s livestock, providing a habitat for malaria-infected mosquitoes, and polluting the air when burned. Motivated by these dire impacts, Isatou knew something had to be done. In 1997, Isatou began to collect the wasted plastic bags and transform them into beautiful purses, shoes, and jewelry (Climate Heroes). Her efforts are truly protecting the environment: one of Isatou’s purses recycles 4-10 plastic bags that normally reside in the natural environment (One Plastic Bag). Her plastic inventions were such a success that through her organization (N’Jau Recycling and Income Generation Group) she was able to employ women in the N’Jau community who could then develop financial independence (Climate Heroes). Moreover, Isatou is a thought leader in understanding that women’s development and environmental resilience are interconnected. One cannot thrive without the other. As a result of employing women in her recycling efforts, Isatou became a co-founder of The Gambia’s Women’s Initiative in 2009. Today, the organization is creating projects beyond Isatou’s original recycling scheme to empower Gambian women to grow personally and professionally as they improve their communities (Women’s Initiative Gambia). For example, one project is creating alternative cooking fuels from mango leaves, dried grass, and other organic waste to replace traditional charcoal briquetting, which causes deforestation and air pollution (Climate Heroes). At Apeel Sciences, what we admire most about Isatou is how she realized that one community’s trash could be another woman’s treasure. Isatou recognized the many negative impacts of waste and instead of waiting for someone else to take action, she did. While everyone in her community saw plastic waste as a permanent neighbor, she saw it as an opportunity for economic, social, and environmental improvements in her community. We are inspired by Isatou’s visionary approach to waste. We hope to take a chapter from her playbook as we work to reduce food waste for the benefit of everyone in the global food supply chain. Banner photo via Climate Heroes.